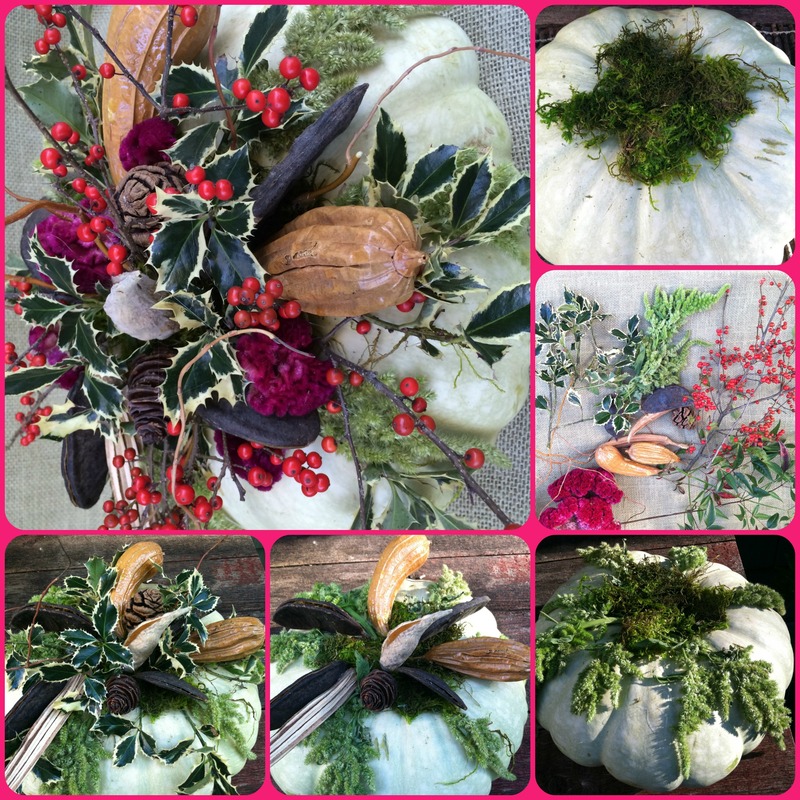 Here is an update on my post Succulent Pumpkins for the Fall at http://thegardendiaries.blog/2013/10/23/succulent-pumpkins-for-the-fall/ using a white pumpkin. There are so many unusual pumpkins on the market today that I wanted to see how this color would work and I really liked it! 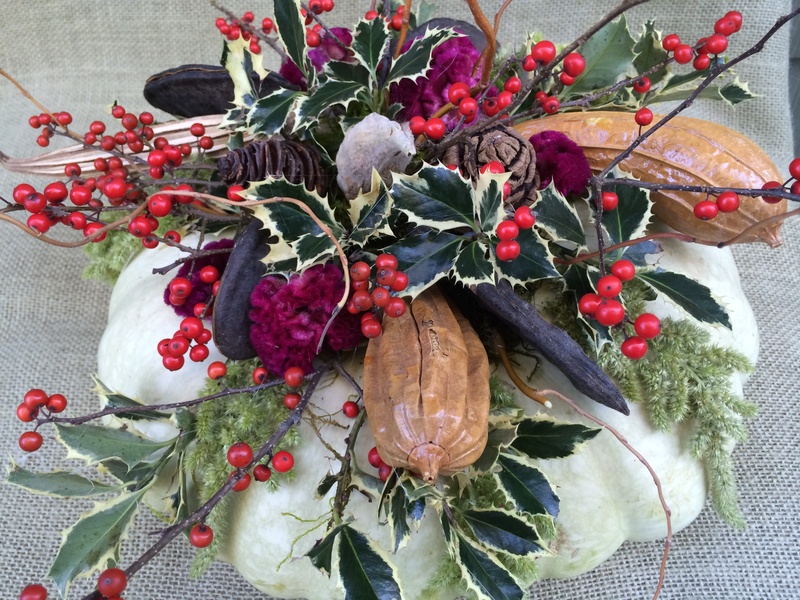 I used more pods, added fresh variegated holly, winterberry, green amaranthus, and dried burgundy cockscomb to add a nice contrast to the white pumpkin.